Picture this: A buyer is touring one of your newly constructed homes in the lovely area of South Miami surrounded by beautiful palm trees, and the sound of birds chirping at dawn with a lovely view of the morning traffic every morning off of US-1. They envision themselves waking up to make a cup of coffee, and enjoying the vivid imagery of their new home. They head into the kitchen and begin to brew their coffee when all of a sudden, they gasp at the unearthly sight of the vinyl countertops! The countertops stare back at them, and the buyer instantly stops what they were doing to call you, the builder to ask why you authorized this vinyl countertop installation. While you’re explaining to them that this is a standard installation, you’re searching the Internet for the nearest locations for wholesale marble distributors in Miami to upgrade your forthcoming projects. The first step is gathering all the information you know about marble. Marble is among one of the oldest stones there is. They are metamorphic, very bright and add life to any dull design that they are matched with. While there are claims that marble is hard to maintain, like the old saying goes, “Nobody’s perfect.” In this case, “nothing’s perfect!” Items may stain, but the effect is what makes marble so unique. When marble is stained, that is where the metamorphic definition comes into play. Pertaining to the creation of marble, metamorphosis is a process that takes place whenever heat and pressure is applied. It is at that point something will eventually change. While this forms the marble, metamorphosis takes place. The rock over time can become more unique, as the stains sometimes can seep into the marble and make it look like it was there all along. The good thing about marble is that the design makes it very likely for you to purchase. The design itself just makes everything come together, and you can use it for more than just a countertop. Marble floors are very common, and you can find these types of floors in McMansions and cruise ships. The investment in this type of item takes time and care, as the final outcome of anything marble will be shiny and easy on the eyes. At first glance, you might think that searching for a wholesale marble distributor in Miami would be easy. All it takes is a Google search and GPS right? Well, the question is: Have you done your research about the wholesale market distributors in the city of Miami? You will first have to actually look at the reviews and see what they offer. Some websites of the different distributors advertise that they sell marble, but when you dig a little deeper, they sell only a select few. You will want to have a nice selection to choose from, and that is a major factor in choosing marble. Wear the Buyer’s Shoes – When planning to purchase marble, consider a minimalist approach. What are you hoping to gain from purchasing the product? Would I want this color in my house? Will I want this type of marble? Go Bulk or Go Home – There is a valid reason why there are wholesale distributors for marble. These people understand that contractors, builders, architects, designers, etc… will need plenty of their products, especially when it comes time to construct a building or a house, they know that they have trusted distributors to buy their product from. Buying in bulk is the best option, as it comes discounted rather than purchasing a singular amount. Diversity Is Key – Do not limit yourself to what you think will be the standard. If you have complete creative control over what you purchase, make the decision to look at the diverse selection that marble offers. You can purchase marble in almost any color, so its best if you can look at all of your options. You can take a look at the many colors and even order a sample here. There has been constant talk about the different types of marble to invest in. The marble that comes with modern constructed homes has a more polished finish, the Honed Finish is often recommended. 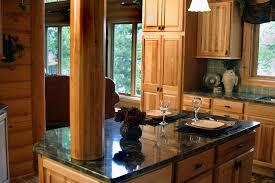 While the Polished Finish has a shiny exterior, they are more prone to scratches and etch on marble. With the Honed Finish, they have a soft matte finish, and provide a more metamorphic look over time. For a more detailed comparison of both, visit this website here. As there are plenty of marble distributors in Miami, there are only a select few that come with high critical acclaim in regards to healthy prices and high quality. Ranging from areas throughout the city of Miami, Nalboor Tiles is among one of them. We are located in South Miami, and have easy access to newly imported marble, ranging from natural stone to porcelain tiles. Nalboor Tiles is invested in supplying our marble and tile products to you! We distribute to serious buyers and contractors, who mostly buy in bulk. Prices on the website are all based on quantity. The more you buy, the more you save! We also offer free samples, which you can find a list of these items here. The sample is guaranteed to be delivered in a timely manner, as most of the deliveries are handled by FedEx Ground. Overnight shipping is provided for an additional fee. If you have any more questions about Nalboor or are interested in purchasing any of our products, contact us through our online form or our number, 305-501-4548.